AshTreJinkins, an artist straight outta Compton, L.A., has already three EPs under his belt in 2017. The release on NCA opens with a Rezzett-esque furred deep house “Dead Or Wounded” and the mood is preserved in offbeat funky swing “Frozen”, which is introduced by vintage audio clip about ‘good slave material’ from the times when cotton and tobacco markets started to bloom. 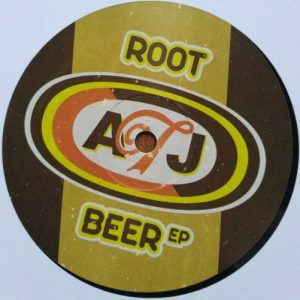 For me, the culmination of “Root Beer” arrives on the flip with “We Need Rain”, a pulsating, dubbed out masterpiece with simmering voices, that creates otherworldly vibes before floor monster “Adwarenigga” is grinding out the artist’s rougher side, using again vocal samples he seems to be very fond of.